- Block No. (136) Panel No. (27) Basin No. 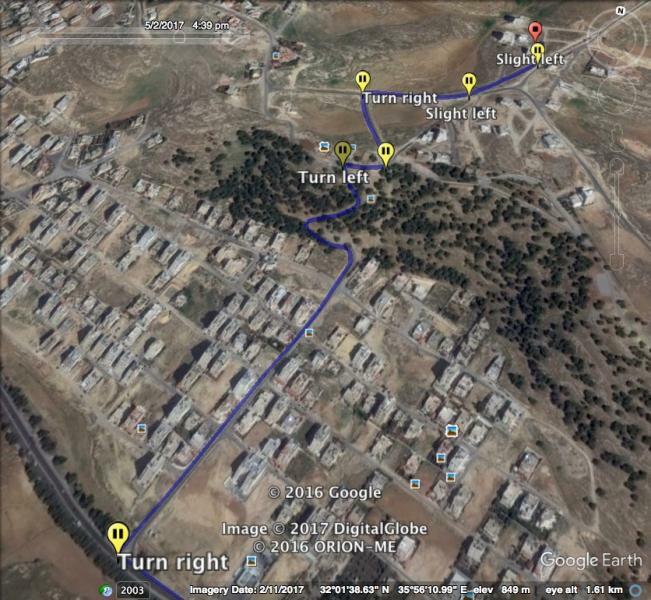 (13) Kom Yajuz of the territory of northern Amman - Badran - Housing judges. - Real estate free of construction, construction and trees, located in the village of Badran on one street. - The property has a regular square shape, served by one temple on its eastern side. - The property has one interface length of 24 meters on one street width of 10 meters. - The property dimensions (25x24) meters and area of ​​600 square meters according to the registration document, and the organizer (housing C), with a percentage building percentage of 51% and the number of roles can be reconstructed 4 floors. - The property has suitable rocky soil suitable for construction (one villa or two adjacent villas or apartments), and services available to him, and surrounded by several residential villas. - The property is surrounded by several villas, luxurious palaces and residential buildings owned by judges of the Supreme Court of Cassation and Administration (formerly Supreme Justice). - The property is not subject to any charges or fines or fees of the Municipality of Amman. - The location is very close to the commercial, educational, health, markets and easy access. - The area is very quiet and has a distinctive view (corresponds to Jabal Amman license). - The piece is located near the University of Islamic Sciences and behind Prince Hamzah Park. - The asking price is based on objective estimation by expert real estate experts. - The property has a special registration document and is ready for immediate assignment. - The property is located in the housing of judges of the highest degree (judges of the Supreme Court of Cassation and Administrative). - The transfer fees and real estate sale tax at the Land Department and any additional fees paid by the buyer in full. - Do not mind the intervention of real estate agents. - Asking price is 123 thousand JD. - Sale directly from the owner.